Out of stock. Closest model is 90023. 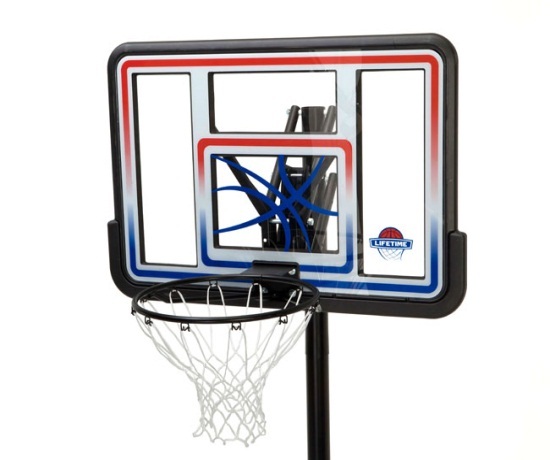 Lifetime Portable Basketball Systems - Model 1533 - 44 inch Polycarbonate Backboard. 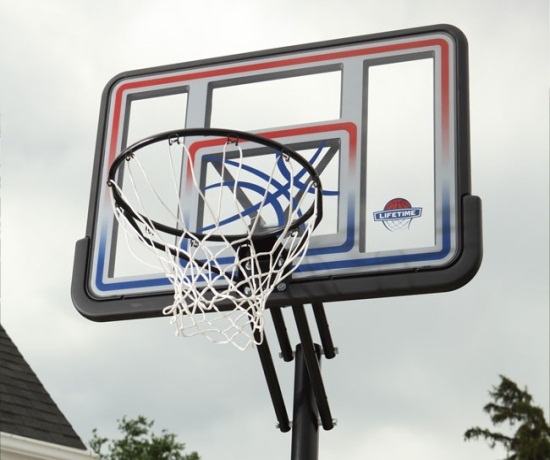 Lifetime basketball hoops provide an economical and durable selection for your home basketball court. 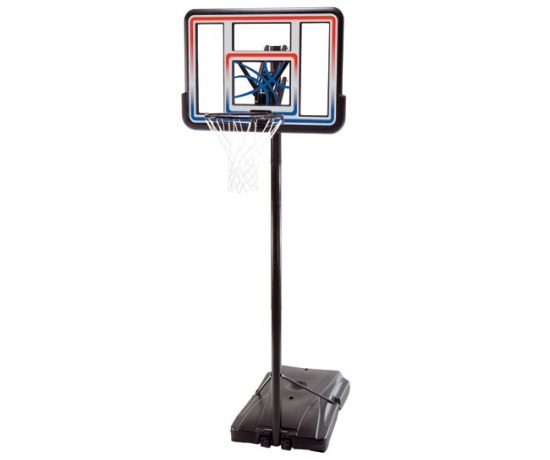 The 1533 portable basketball system comes with a 44 inch polycarbonate backboard. This backboard is clear, giving it a cool look. The graphics on the backboard are UV treated to help resist fading. 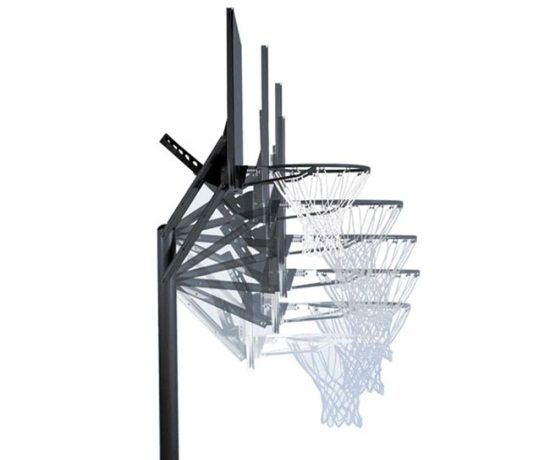 This system uses the Quick Adjust height-adjustment mechanism, allowing you to set the rim height anywhere from 8 ft. to 10 ft. in 6 inch increments. This system also uses a lightweight, UV-resistant plastic frame around the backboard. 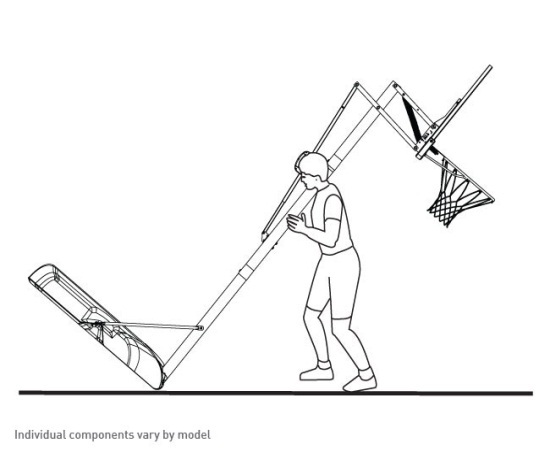 Best of all, the 31-gallon base has wheels to help you move the basketball system around to where you need it. Dimensions: 44 inches wide x 30 inches high. 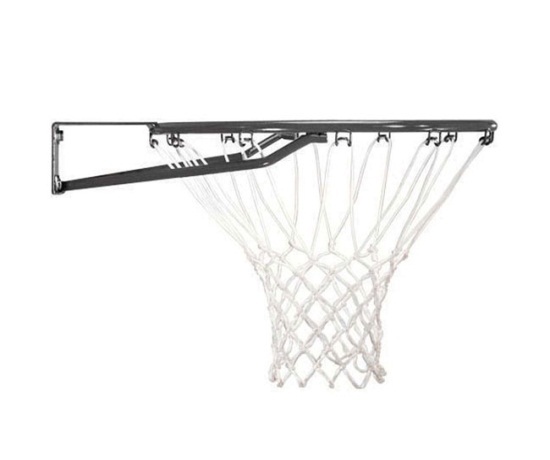 Backboard Frame Material: Polyethylene Plastic. Backboard graphics are UV treated to help resist rusting. Comes with Black classic rim. Rim is 5/8 inch steel with 1/2 inch steel braces. Comes with a 50 gram, All-weather white net. Pole steel is powder coated to help resist rusting. Backboard mounts onto the pole with the Quick Adjust bracket. Quick Adjust allows you to raise and lower the rim height from 8 ft. to 10 ft. in 6 inch increments. Quick Adjust requires a broom stick, or comparably shaped and sized device, to operate the adjustment mechanism. Base can fill with sand or water to help stabilize the unit. Filling the base with sand typically makes the base weight 1.5 times higher than the weight of the base filled with water. Weight multiplier varies depending on the density of your sand. Base has wheels to allow you to roll the system to the desired location. Product package weight: 70 lbs. Product package dimensions: L-47.38 x W-32.19 x H-10.50. Product ships via FedEx. Ships directly from factory in Clearfield, Utah. Orders typically leave within 3 business days and take about 3-6 business days in transit. How does the Quick Adjust system work? 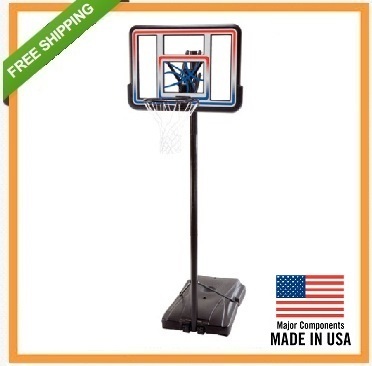 The Quick adjust height adjustment for this portable basketball system utilizes a ratcheting system behind the backboard. 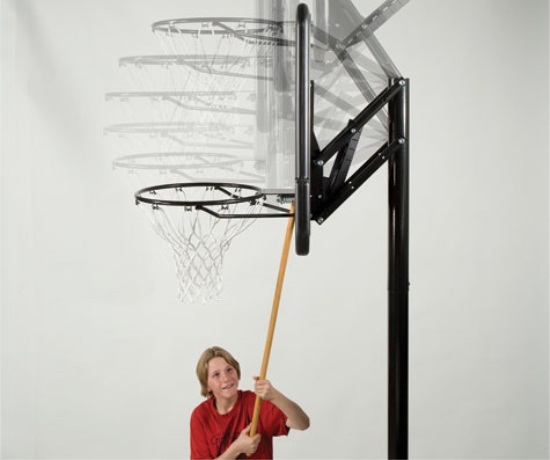 When a broom stick, or comparable object, is pushed up underneath the rim mount, the ratcheting system pushes back and moves the rim higher in 6 inch increments. When the room stick is placed in a notch on the Quick Adjust itself, pressure is released off the ratchet, allowing the system to descend down in 6 inch increments.